For nearly two decades, Godsmack, the heavy metal band from the Boston, Mass.-area partied hard – before and after their shows. Their first CD, “All Wound Up,” spoke volumes of their musical style – and their lifestyles. Now, all four members of Godsmack are sober – or at least off the sauce. Godsmack is currently on a co-headlining tour with Shinedown. The tour makes a stop in Camden, N.J. at the BB&T Pavilion this Sunday, and drummer Shannon Larkin said he’s never felt better about the group’s performance and stage presence. “We partied hard for 15 years straight,” he said. “But when you start to go on these extension tours, it becomes a vicious cycle, and waking up hungover and drinking before the show just to get back to that euphoric state…When we all turned 50, we made a conscious decision as brothers in the band to, you know, get our sh*t together and look good, too. That’s when the physical training starts. "We definitely smoke weed – I’ll say it openly and proudly. One vice at a time. Weed wasn’t what was destroying my life and my body. We never smoked it before a show," said Larkin. The band is promoting their latest album, “When Legends Rise,” their seventh studio album and their first in four years. The 11-song collection features the hit, “Bulletproof,” which entered the Billboard Top 200 album chart in the top 10. Accompanied by singer and guitarist Sully Erna, guitarist Tony Rombola and bassist Robbie Merrill, Larkin said the band has never been stronger than it is now, thanks to years to continued "chemistry." Inspiration behind the making of the record came from the band members wrestling against Old Man Time. “We all started as teenagers, you know, all four of us…We don’t want to look like those old farts on stage trying to look like we’re 21 and full of piss and vinegar still,” said Larkin. Many of the songs on the album are love songs, said Larkin, stemming from the personal heartbreak suffered by songwriter Erna. “Sully’s always been the lyricist for the band,” he said. 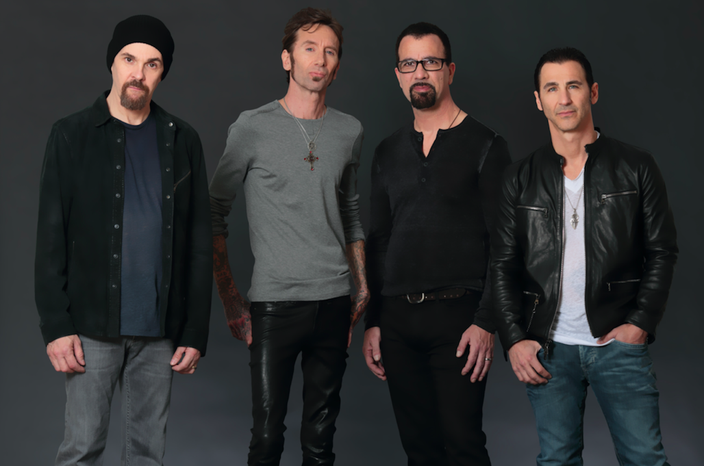 Godsmack plays with Shinedown Sunday, Aug. 26 at the BB&T Pavilion in Camden, N.J. Asked the origin of the name “Godsmack,” the story is an intimate (and awkward) one. Larkin said that before he joined the band, when the original members were still unsigned and up-and-coming in the Boston area, they were preparing for their very first photo shoot. Just two days before the shoot, Erna was teasing another member of the band about a cold sore on his lip. “Godsmack” is also an Alice in Chains song, but Larkin said the band was aware of that and had been thinking of it anyway. After the canker sore scene, the name just stuck, and the rest is history. 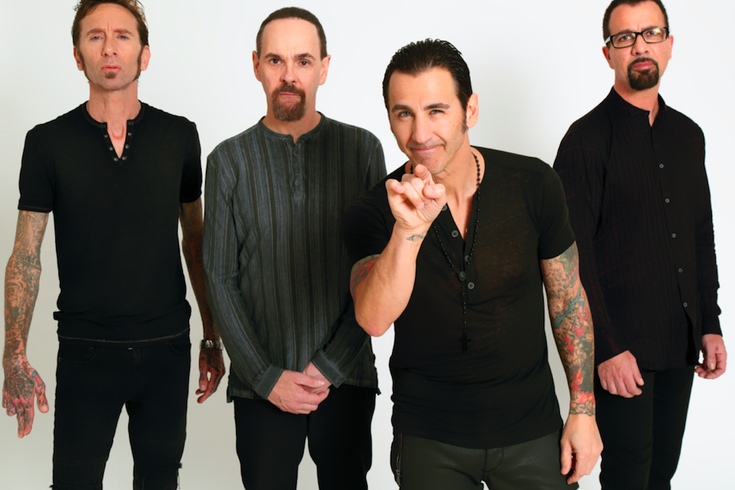 Godsmack performs with Shinedown this Sunday, Aug. 26 at the BB&T Pavilion.